If you or someone you know has been injured or killed in a car accident, you should contact an experienced auto accident lawyer. Insurance companies handle numerous claims each and every day. It is an insurance adjuster’s job to maximize their profits; it is our job to get you the compensation you deserve.A car accident results in numerous phone calls and stacks of paperwork from insurance companies. We will stop these phone calls and guide you through the process to make sure the insurance companies live up to their obligations and handle your claim appropriately. 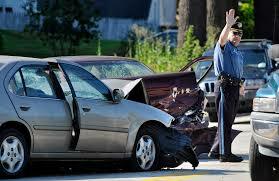 If necessary, we retain the best experts possible to reconstruct your accident to show how it could have been avoided. We are here to answer your questions regarding all damages owed to you including lost wages, property damage claims, medical costs, medical bill assistance, funeral expenses and much more. You can also visit our website at www.kansastruckingaccidentattorney.com for more information on accidents involving commercial trucks. Jackson Legal Group, LLC provides a contingency fee arrangement for accident cases, which means we only charge you if we earn you a settlement. We cover all expenses and costs of settling or litigating your claim and only deduct such expenses once a settlement or judgment has been obtained for you. If the accident has left you disabled and you are unable to come to us, we will come to you. Call today for a free case evaluation. The attorneys at Jackson Legal Group, LLC are waiting to assist you and your family through the process of recovering from a motor vehicle accident. Don’t wait another minute. Set up an appointment for a free consultation today. Our office is located in Scott City, KS, however, our attorneys frequently travel to other areas of the state and are willing to travel to you if necessary. We offer free consultations on all cases. Contact our office today to setup an appointment.